RT Inner Axle Shaft x1, 1.5" Diameter shaft! LT Inner Axle Shaft x1, 1.5" Diameter shaft! U-Joints x2, Large 1350 size! 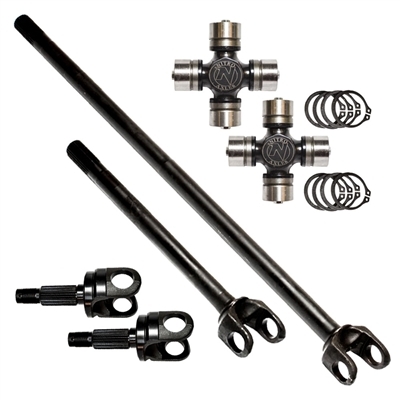 Uses our exclusive Nitro Excalibur 1350 U-Joints (included). Fits Rubicon JK Dana 44 custom aftermarket axle housings WITH Rubicon bearing saddles: ARBRD157, AG545021. Also fits aftermarket Non-Rubicon type housings(e.g. Teraflex/ Currie/ Dynatrac): ARBRD147, OXDana 44-3-35.